Sardinia island represents the ideal scenario for enthusiast cyclists of all levels, agonists, amateur cyclists and cycletourists as well. The absence of noise enhances the sounds of nature and amplifies the relationship with the surroundings. 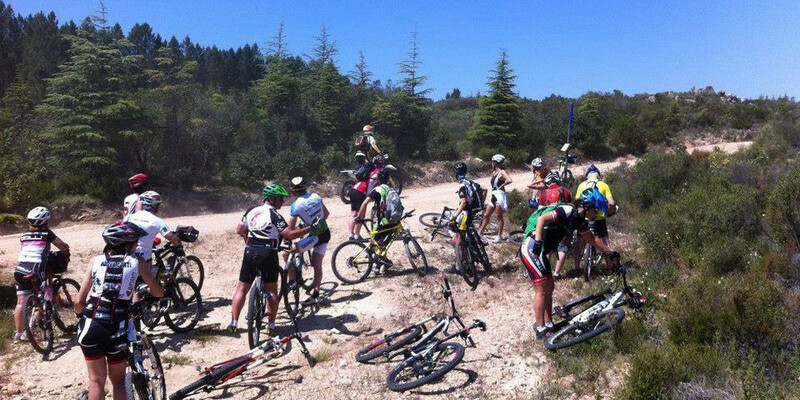 Thanks to the mild weather, in Sardinia it is possible to practice cyclism 365 days a year. Cyclists can select many types of routes, on-road itineraries for lovers of racing bikes, or off-road trails for mountain bikers who prefer to be surrounded by nature. Cycling is the best way to know the soul of Sardinia's territory and Sardegna Adeventures gives the opportunity to discover the island on a holiday that will be a blend of nature, art, enogastronomy, culture, landscapes and much more. Bike tours have different characteristics and explore different areas of the island. Every excursion on two wheels offers the opportunity to live a different experience in terms of paths, landscapes, traditional cuisine and local customs. All sections are "in line", starting and finishing each day in different places (we'll take care of the luggage). Unique location, each stage will have a circular route starting and finishing each day in the same place. Includes "fix-base" and in "line" stages. Bikers which are not part of a group can choose the option that best suits their preferences between our Organized Tours. The 6-day tour covers a total distance of 380 kilometres and goes through picturesque sceneries and unique stunning spots. The panorama changes a lot in a peculiar way: uncontaminated beaches, breath-taking cliffs, sand dunes, Mediterranean scrub vegetation, calcareous crags, densely wooded mountains and water flows. During the tour you will enjoy traditional and simple food, thus rediscovering old genuine local flavours.